The real power becomes clear from the moment you start to collect data. Each step of the way Flow Tracker 2 guides you along the measurement process with visual prompts and SmartQC audio alerts just in case something important needs your attention. 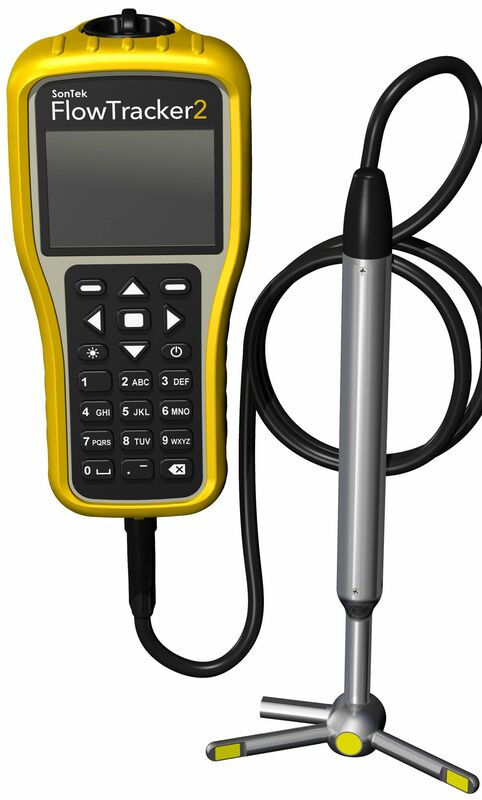 FT2 handheld software is intuitive, easy to navigate and includes real-time plots of point data, QC parameters, and measurement verticals, giving you everything you need at-a-glance. Get defensible data correctly, the first time, every time, and minimize data handling back at the office. With rugged construction for any climate and multiple display options for both day and night, FT2 goes whenever and wherever you need it to go. 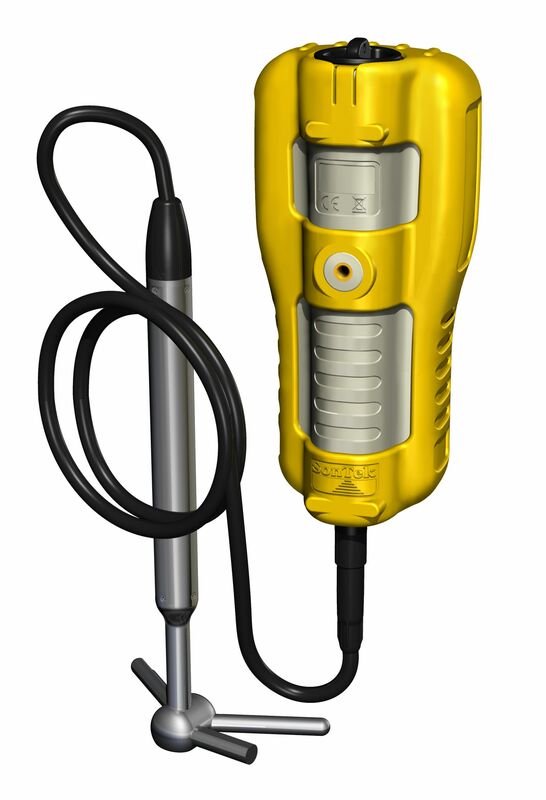 At its core, FT2 uses SonTek's tried-and-true ADV technology, vetted for decades by experts across the globe, in hydraulics labs and wide-ranging field environments. Improved and perfected for FT2, the acoustic-based ADV sensor offers unparalleled accuracy, particularly in low flow, and in the shallowest water of any wading device. 2-D data in the horizontal plane (2D/3D option available) allows the most comprehensive QC and understanding about flow conditions. User calibration is never required, and 24/7 tech support from SonTek and our worldwide team is only a call or click away. 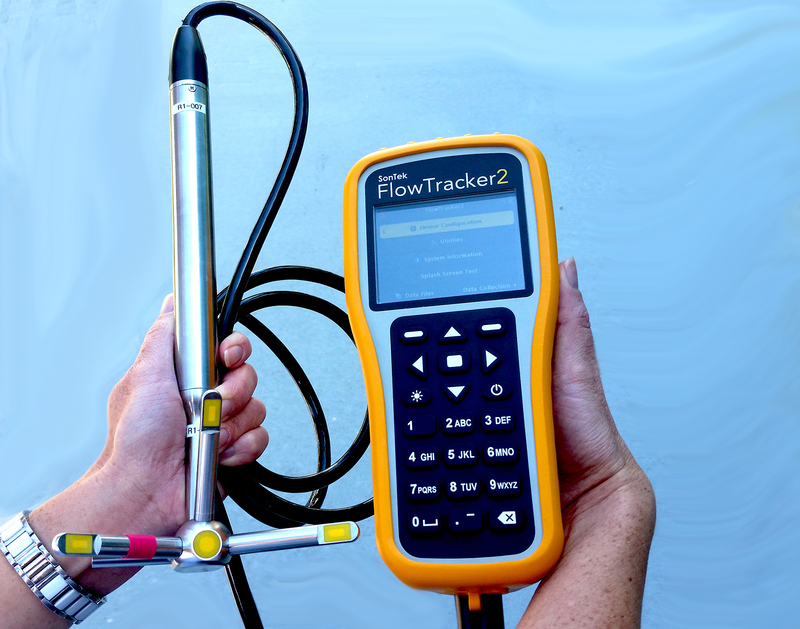 SmartQC is a built-in quality control feature that gives you the added assurance your FlowTracker data is correct. With each measurement, data is compared to a variety of adaptive QC criteria to ensure the best measurement possible. *Defined as power on with screen on at 100% brightness, ADV sensor pinging 50% of the time, GPS off, and no sleep periods. Actual battery life will vary depending on FT2 settings, manner of use and brand of battery. Comprehensive tables and time series graphs allow you to visualize and QC data during analysis. Change SmartQC criteria and edit data—yet rest assured the original file will always remain untouched. FT2's open-source JSON file format is ready to be read into any organization's database, and is supported with direct import to Hydstra and WISKI. 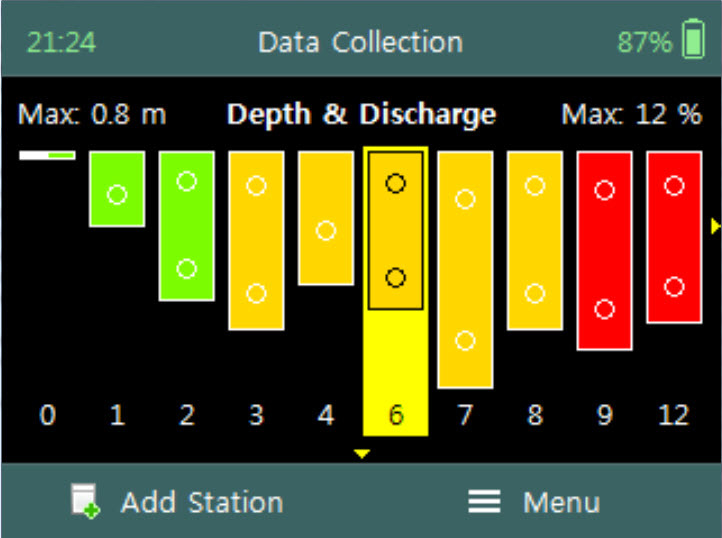 If you're a hydrologist, scientist or water monitoring professional, chances are access to precise flow/discharge data in varying environmental conditions is important to your organization and the communities you serve. Better data means better decision making – often in situations that are critical and time-sensitive. You might already be collecting data using the traditional mechanical current meter, or maybe you have hands-on experience with the SonTek FlowTracker or similar wading device. 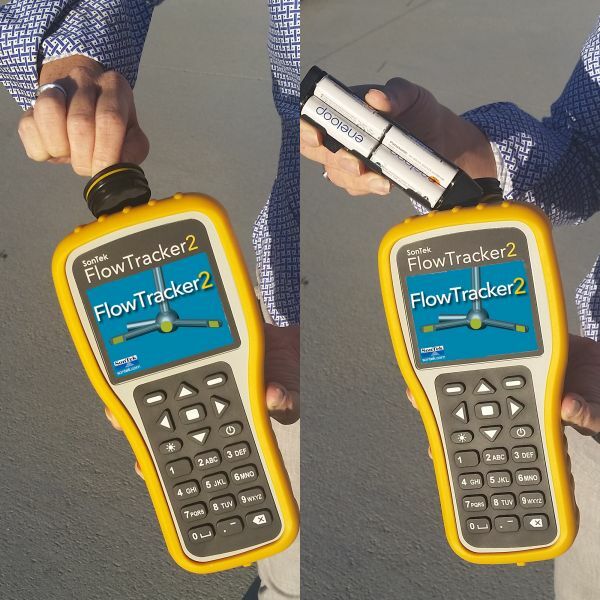 Either way, nothing beats the quality assurance, data accessibility and overall performance of the new FlowTracker2 handheld ADV. • The QA/QC Advantage: get comprehensive quality assurance and understanding about flow conditions. 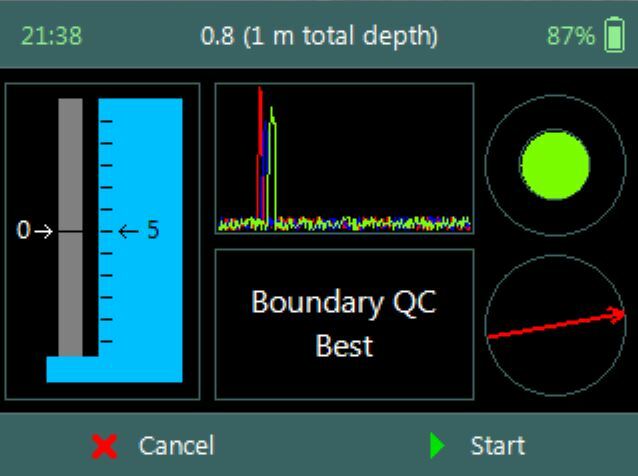 How to easily review essential parameters such as flow variability, flow angle, proper instrument orientation ... and QC as you are taking your measurement! • Helpful tips on site selection for optimal data reliability! The SonTek deluxe wading rod, featuring a sturdy grip and bubble level. 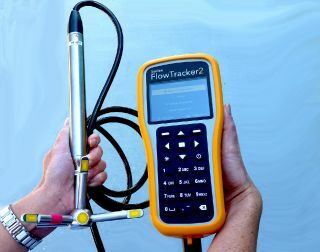 FlowTracker2 with optional wading rod. 2.4 m wading rod for deeper applications.